Death is hardly the most cheerful topic to be writing about on the first day of a brand new year, but as the saying goes, it comes to us all eventually. 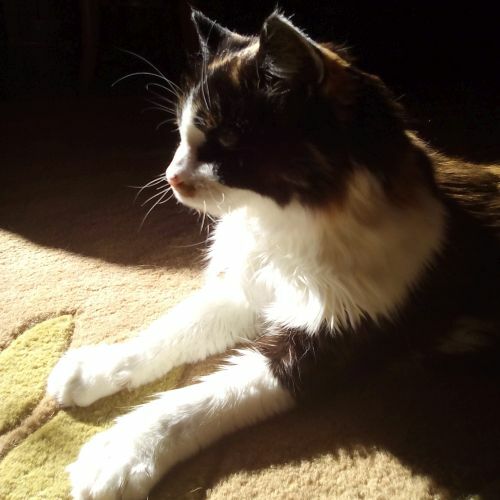 And for my 19-year-old Aggie-cat her time to depart this Earth is rapidly approaching. For most of us there’s often little choice in the when, where and how we leave this world, and too often for many it is sudden, brutal, and painful. Most governments are still tip-toeing around the admittedly enormously difficult subject of euthanasia for those suffering with acutely painful symptoms of terminal illnesses, yet we don’t think twice about euthanasing our companion animals, believing it to be the best and most humane option. Those who work in palliative care say we have more control over when we draw our last breath than is generally recognised, and will offer numerous stories of patients who seemingly and knowingly choose to expire either when all the family members are present, or else when they are completely alone, because said members have nipped out to grab a cup of coffee, go to the loo, or duck outside for a smoke. I totally get that, and I maintain my mother chose to delay her departure for a good 24 hours after I arrived in the UK from Australia because she was enjoying the conversation around her bed, and didn’t want to miss any of the gossip. But to return to Aggie, we’ve been counting down her final hours now for eight days. That’s when she stopped eating. For the first day or two I could put it down to the undeniably hot weather – we all tend to eat less when it’s hot – but by Day Three it was apparent there was more to her refusal to eat than just the heat. She’d decided it was time to go. By Day Four she’d taken up residence in the bathroom – not one of her usual favourite places – appropriating the bathmat, and content to just sit quietly, undisturbed, and sleep, interspersed with the occasional stretch, a change of position, and to drink some water. Any need for her litter box ceased. Which was just as well since it was some distance away, in the garage! And the bathroom is where she’s remained, patiently waiting for the end. Or that’s how I see it. There’s no indication she’s in any pain, or is suffering in any way. If this looked likely then of course I would have taken her to the vet – Christmas or no Christmas – but she truly appears to be calmly and serenely waiting for the end to arrive, quite content to let nature take its course. No fuss. No dramas. No fighting the inevitable. Just a recognition and an acceptance that her time is up and she’s ready to go. For all our intelligence sometimes animals manage these things so much better than humans do. God bless. I will miss you little Aggie-cat.